The Gant is one of Aspen’s most popular properties ideally situated in a peaceful enclave at the base of Aspen Mountain, just 2 blocks from the town centre and 4 blocks from the gondola. For those who would rather save their ski legs, the Gant provides an on-demand shuttle to both the lifts and town centre. It is a favourite with guests due to its high standard of accommodation, quiet yet central location and great price. Grocery delivery and morning newspaper delivery. One and two bedroom standard and deluxe condominiums featuring a wood-burning fireplace, private balcony, fully equipped kitchen. Once you've been across the Atlantic skiing it's hard to go back. Often you're forced to, due to money, convenience and want of effort when the Alps are our doorstep but i'd highly recommend biting the bullet and just sit on that plan. Why? They have amazing snow, service with a smile and big mountains. Same in Canada but what Aspen has is STEEP! From the first moment you get to the top of the main gondola you find it hard to choose which steep way you want, there are so many steep ways to go, each way you'll find dry fresh powder. 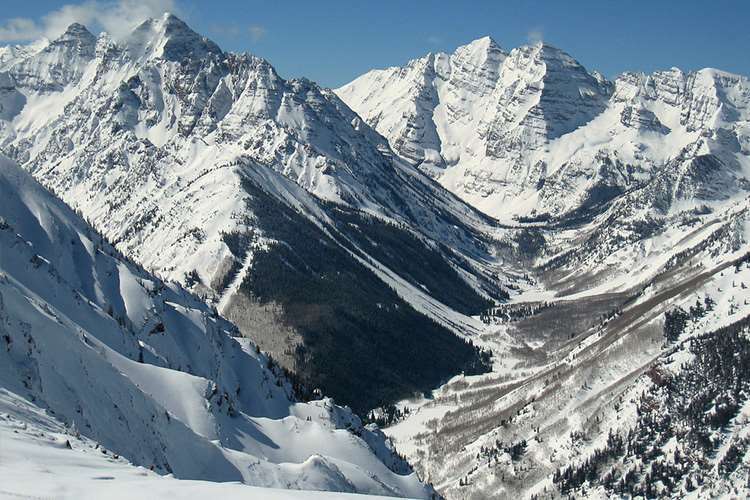 For those that want something more crazy then Snowmass has that and lots of it but my heart is in Aspen. Plenty of bars from the traditional hotel bar, modern more styled bars and in town normal American sports bars. It's easy to navigate around town, stick Aspen on your bucket list.